Kevin Brooks has won the Branford Boase Award and been shortlisted for the Guardian Children's Fiction Award, the Booktrust Teenage Prize, the Manchester Book Award and for the Carnegie Medal (for Martyn Pig, Road of the Dead and Black Rabbit Summer). Kevin Brooks was born in Exeter and studied in Birmingham and London. He had a varied working life, with jobs in a crematorium, a zoo, a garage and a post office, before - happily - giving it all up to write books. Kevin is the author of Being, Black Rabbit Summer, Killing God (published as Dawn in the USA), iBoy and Naked for Penguin. He now lives in North Yorkshire. Kevin Brooks was born in Exeter and studied in Birmingham and London. He had a varied working life, with jobs in a crematorium, a zoo, a garage and a post office, before - happily - giving it all up to write books. Kevin is the author of Being, Black Rabbit Summer, Killing God, iBoy and Naked for Puffin. He now lives in North Yorkshire. 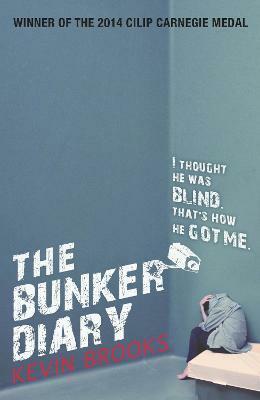 The Bunker Diary won the CILIP Carnegie Medal in 2014.